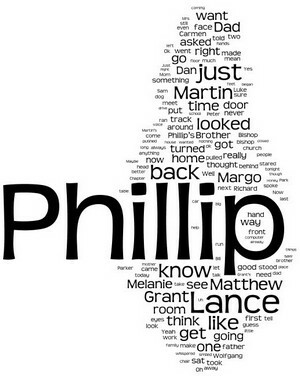 "About Phillip" takes the young adult reader through Phillip's most wrenching year yet. On the plus side, he discovers he's a track star. On the downside? Well, there's his father.... Click on the image to go straight to the Amazon Kindle page where you can download About Phillip for only $3.95. What’s the easiest way to publish these days? On Kindle, that’s what! I’ve put my own fantasy books here in the Fantasy Catalog, and have published books for others, but Kindle (and other e-publishers) seems to be taking over everything. Amazon says their Kindle is their most popular electronics product, and they now sell more books via Kindle than printed books. I’ve put both Broom 1 and Broom 2 on Kindle and will shortly put Broom 3 up there too. I looked into Kindle a couple years ago when putting a presentation together for local authors about marketing on the web, and I updated it last year (here) for another workshop. It can’t get any easier! Well, I’ve been sitting on a manuscript for some time now—one I really like. It’s not fantasy, it’s set in the real world (well, if you consider Boulder to be the real world) and involves real people (well, okay, made-up characters). It’s a serious attempt to look at how family discord might play out in a Mormon setting. Phillip is 15. He learns that his passion for jogging has put him in a position to help the high school track team, which he joins with considerable trepidation. He’s also a computer nerd and works at a pet store where he seems more simpatico with the pets than the people. The issue is his father. Phillip has no interest in becoming an eagle scout like his older brother, nor is he interested in kow-towing to his stern father. Father and son live on different planets, and several people are caught between. Read Phillip’s joy’s and sorrows in About Phillip and once again enter the world of high school. About Phillip is available only on Kindle. You can get your own copy here on Amazon for only $3.95. And a note about Kindle: Yes, you can buy a Kindle e-book reader—the prices have dropped dramatically of late. Or…you can download a free Kindle app for your PC so you can read on your computer or laptop. Or, you can download a free Kindle app to your iPod Touch, iPad, iPhone, or your smart phone. Note the word “free” there—the app doesn’t cost anything, and if you do end up buying a Kindle, you can transfer all your purchases to it with no further fees. Do it today! This entry was posted in Mt. Sneffels Press, Writing: Business. Bookmark the permalink.